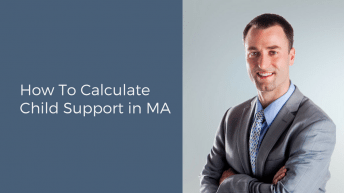 New MA Child Support Guidelines Release in Sept, 2017, Is That Good for Me!? | Farias Family Law, P.C. This is attorney Bill Farias and this is on the release of the new Massachusetts child support guidelines which will go into effect in September of 2017. Is this good for you? Is this bad for you? Will the child support amount be higher? Lower? What we’ll do during this video is we’ll examine the new key provisions in the guidelines. First, there are a couple new provisions relevant to children who are over 18, but still dependent on a parent. We’ll call them young adults, because they’re not really children. The first is that there’s a presumptive reduction in the child support amount by 25% for young adults in that category. The reason for that is that the parent caring for the young adult generally has lower expenses at that stage, either because the young adult has gone away to college, or is working and earning some income, or should be working and earning some income. Another key change is that a parent’s contribution for college costs is capped at 50% of the undergraduate in-state resident cost of UMass Amherst. The reason for that is that college costs are getting higher and higher, and there are some parties paying exorbitant college expenses. This, at least, caps them. Another change is that the guidelines attempt to fairly distribute the costs of health and child care. The way that’s done is that the party paying the expense gets a reduction from their gross income in that amount, and then the amount of health and child care costs are distributed among the parties proportionately based on their income. That’s factored into the child support calculation. Another change is that the guidelines encourage what’s called unallocated support. Unallocated support is similar to alimony in that it’s taxable and tax deductible, as opposed to child support which is not taxable or tax deductible. This is especially key in cases in which there’s a significant disparity in income between the parties, and alimony and child support is an issue. The goal is tax efficiency. Basically, to keep as much money as possible in the family, rather than sending it to the IRS. Another key change is that there is no longer a hybrid child support calculation. Under the old guidelines, there was a special calculation for cases in which the non-custodial parent had parenting time that was between one third and half of the time, which would effectively lower their child support amount. The reason that the committee did away with that provision was that the courts were finding that there was a lot of litigation on that issue. Mainly, what was happening was the non-custodial parent was trying to get more time with the child only to lower their child support amount. That wasn’t helping anybody, so they did away with it. Finally, connected to that, and related to all of the changes and the child support guidelines generally, is that the new guidelines stress that in some cases deviation is appropriate. Not every case is the same. You have this formula that takes in numbers and spits out a presumptive amount, but the key is that judges have the discretion to change that amount based on the specific facts and circumstances of each case. The judge can either go up or down from the recommended guidelines amount, depending on the circumstances and needs of the family, and specifically the children. Those are the key changes to the Massachusetts child support guidelines. This is Bill Farias of Farias Family Law. Feel free to contact us with any questions.